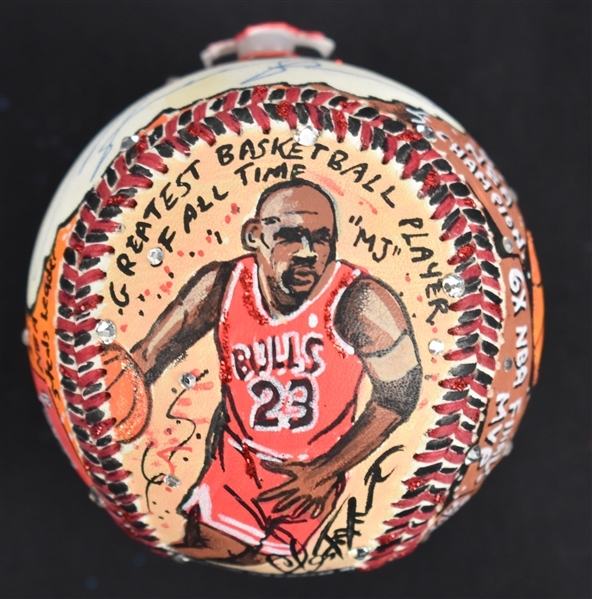 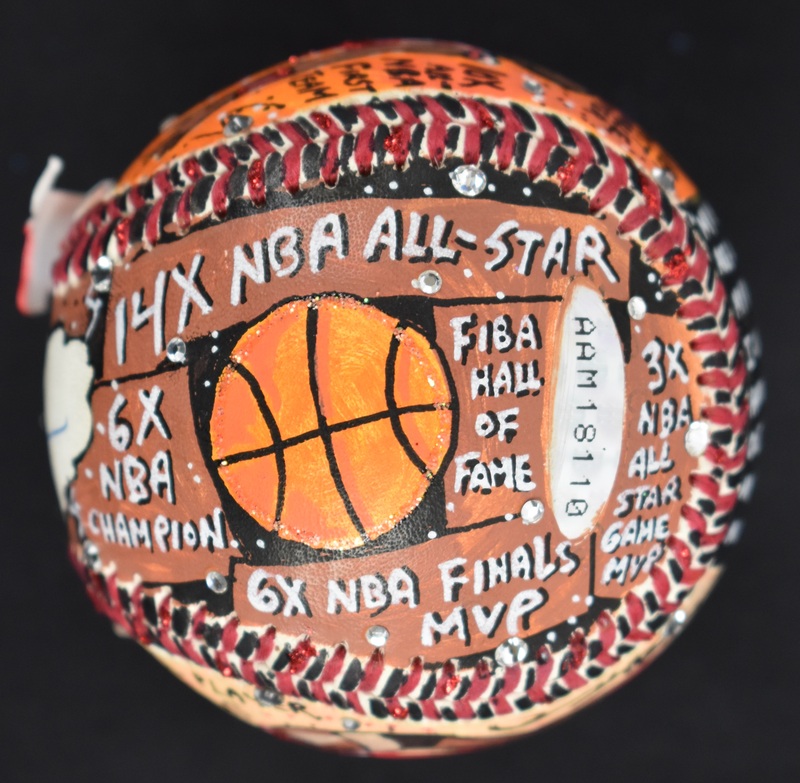 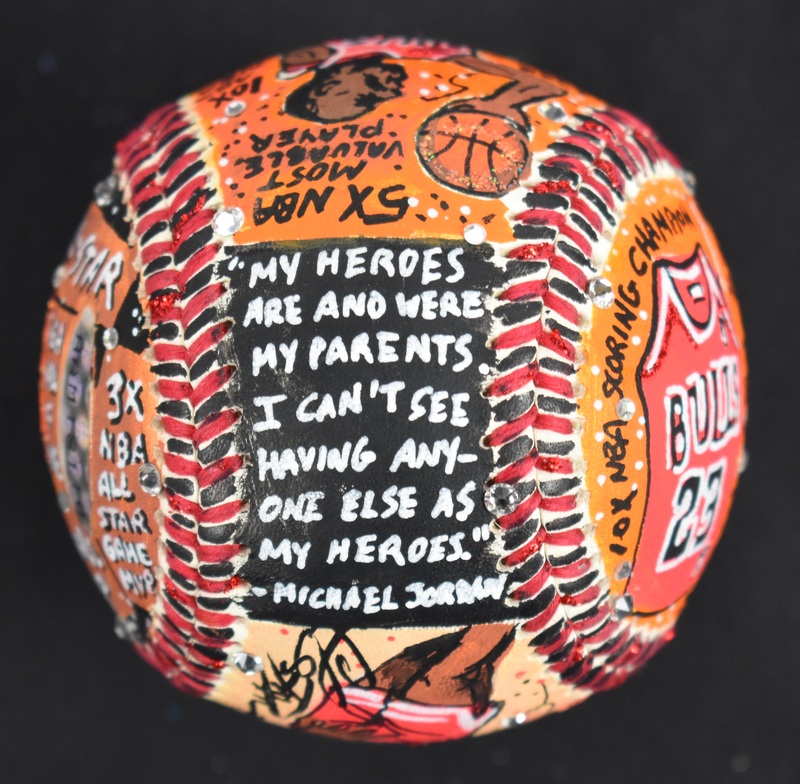 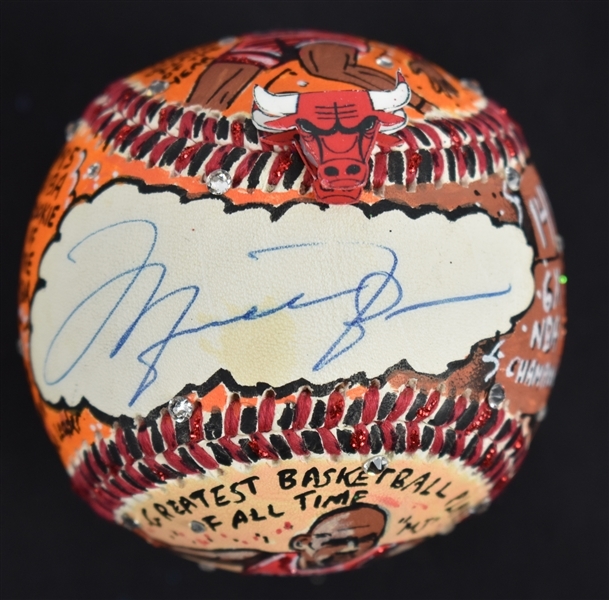 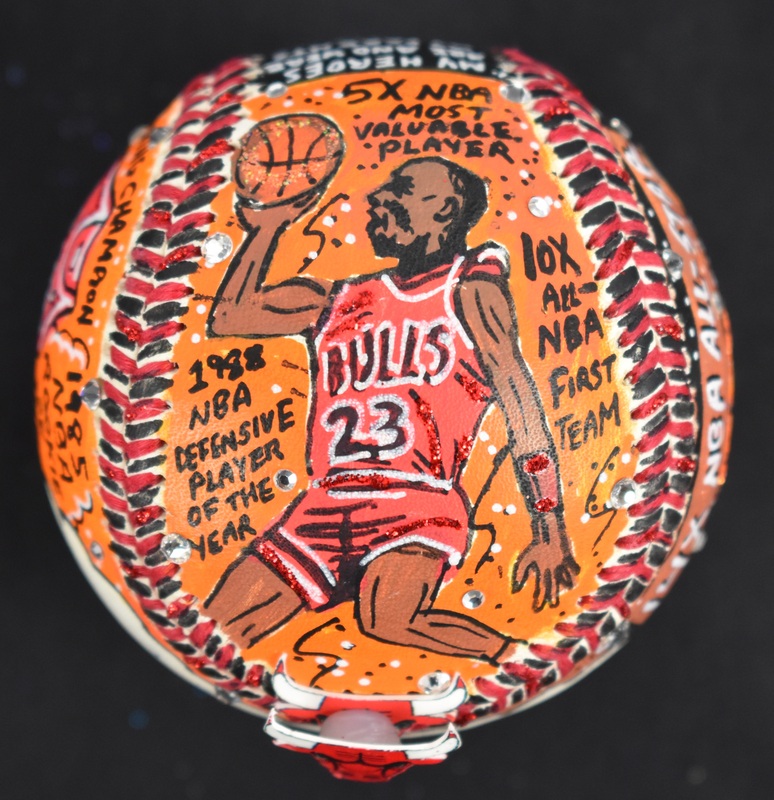 Absolutely stunning Charles Fazzino one-of-a-kind painted baseball signed on the sweet spot by legendary Chicago Bulls Hall of Famer Michael Jordan. Fazzino is known for his silkscreen serigraphs in a 3D pop art style. He is An innovative and imaginative storyteller and is the Master of 3-D Pop Art. 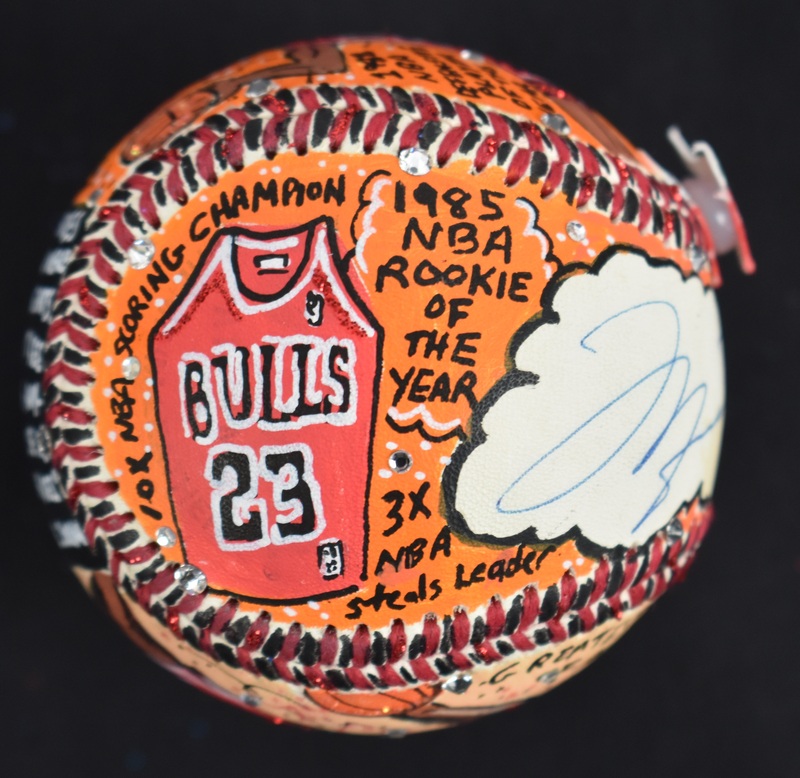 His "art baseballs" are extremely coveted by collectors and this rare ball boasts one of the most sought after signatures in the history of sport, combined with the original Fazzino masterpiece, make this a must have item for the most discerning collectors. Upper Deck Authentication hologram.